Bayern Munich coach Carlo Ancelotti insists he has not been in touch with Paris Saint-Germain midfielder Marco Verratti over a potential move. Recent reports suggested Ancelotti is keen to lure the Italy international, who he worked with at PSG, to the Allianz Arena and made contact by telephone to sound him out about a transfer. But the Bayern boss stressed he has not approached Verratti, adding that he expects the 24-year-old to stay in Paris for the foreseeable future. 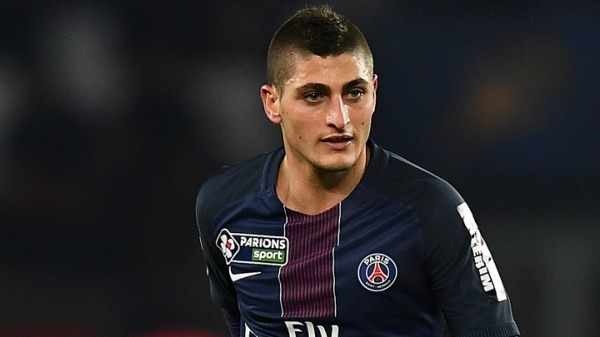 "I have not spoken with Marco Verratti for the past three months or so," Ancelotti said at a news conference. "I did not call him either. "I think Marco will stay at Paris Saint-Germain for a long time. "I know him quite well from my time at PSG. He is a great player and is very professional." Ancelotti was also questioned about the future of Xabi Alonso following reports the Spanish midfielder is set to hang up his boots at the end of the season. The Bayern coach was unable to clarify the 35-year-old's plans once his contract expires in June. "I have not spoken with him about a potential retirement," Ancelotti said. "He is still an important player for Bayern."